This post was sponsored by Newton Baby. Thank you for supporting the brands who support this blog. All thoughts and opinions are my own. Aimery thrives on routine, so having a bedtime routine is really important for him to sleep through the night. Every night at 7:30pm, he has a 20 minute bath and then puts on his pajamas. I then tuck him in on his Newton Crib Mattress and read him Goodnight Moon before saying goodnight. Aimery knows that if he cries for me once, I'll go back into his room and tuck him back into bed. But if he cries for me again, I just open the door and tell him it's time for him to sleep. Aimery knows his boundaries and it allows him to feel safe knowing exactly what is going to happen during bedtime and in the middle of the night. Aimery started giving me a hard time at bedtime when we started our trips to Canada in April. Since Aimery's father lives in Canada, we travel up there every so often for weekend visits. Aimery would have such a hard time adjusting back into his bedtime routine when returning from Canada, but never when I would take him on vacation. It wasn't until our last trip to Kalahari when I realized that Aimery had such a hard time coming back from Canada because his routine was different there. So when we traveled back up for Aimery's birthday, we agreed to keep up his normal routine by having me put him to bed. He slept great while he was there, and coming home he adjusted SO much quicker. I went from three weeks of not sleeping, to maybe a day or two after these trips. So even when we are traveling, it's really important for us to stick to the exact same routine that we do while we are home. I recently switched Aimery's off-brand mattress for this Newton Crib Mattress. 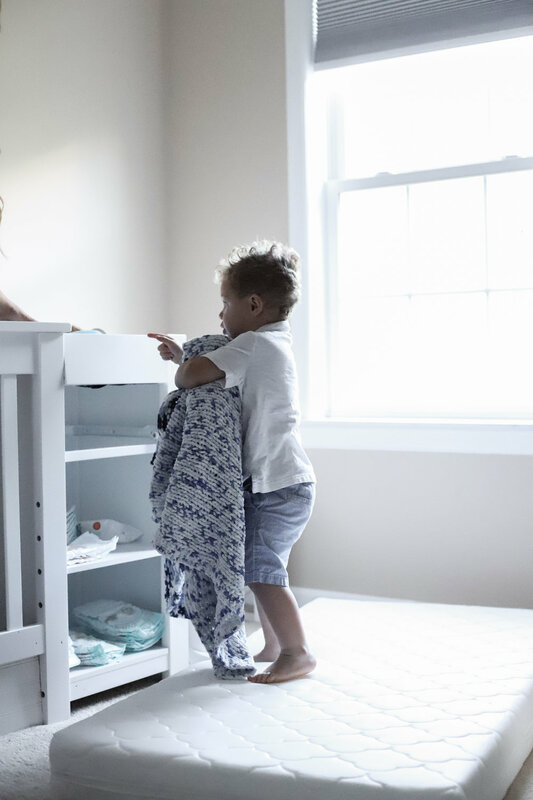 Not only is this crib mattress safer and healthier than traditional mattresses, but it's also SO comfortable! I wish they had a king size for me! Since making the switch, Aimery has been sleeping so much better. Which not only helps me sleep longer, but also allows me to sleep better knowing that this mattress is safe for Aimery to be sleeping on. 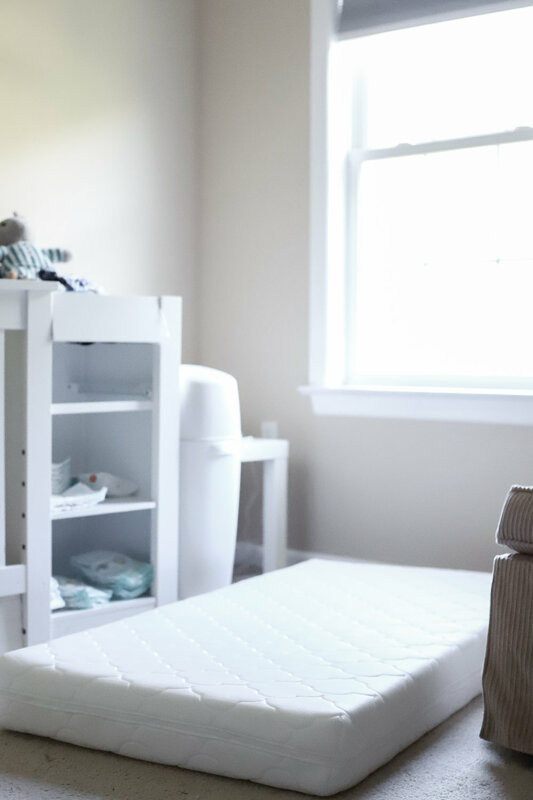 Independent tests have shown that babies get 97% more air while breathing through Newton's Crib Mattress over other traditional mattress. 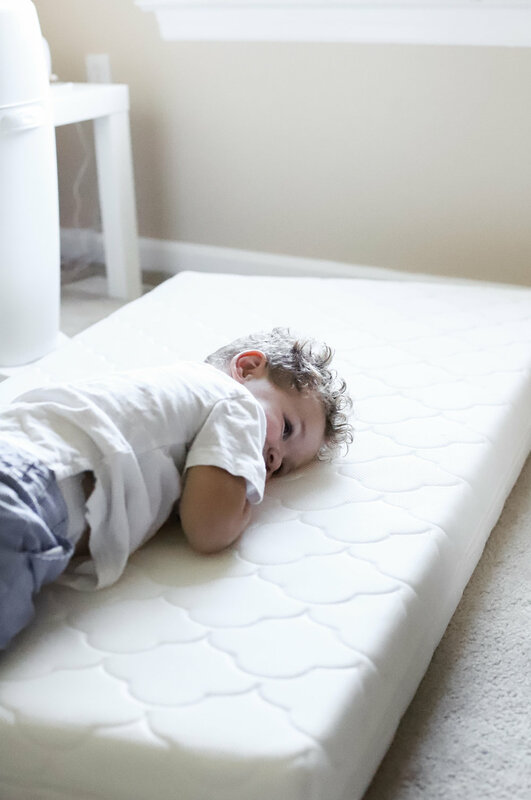 This mattress is also much healthier, since it doesn't have any foam, latex, or adhesives. And it's completely washable - which is just so awesome! Aimery has some nighttime anxiety that comes from not feeling safe in his environment since he's alone. Because of this, I offered him a "lovey" to become attached to make nights easier. He has a blanket and two stuffed animals that he loves more then anything. It really helps him feel comfortable in his crib both when he goes to bed and when he wakes up in the middle of the night. Often I'll hear him talking to his stuffed animals in the middle of the night - it's so cute! I also do breathing exercises with him if he needs to calm down. This is great to relax him before bed, during the night when nightmares happen, or even during the day to avoid tantrums. The one that works best for us is having Aimery lie down and count to ten while breathing from his belly. It is great for kids who have anxiety! Something else that helps Aimery is having a night light, music, and white noise playing while he's in bed. He always sleeps better! I know how hard it is to be exhausted all day and night from dealing with toddler bedtime battles. Keep up the routine and create boundaries. It will take time, but eventually your toddler will understand that they will not win. You are doing great!